At the Spring 2012 recruitDC event, I had the privilege to share with the recruiting community tips on how to incorporate veteran hiring into a recruiter’s mindset. The poignant beginning of this presentation was the opening by Colonel David Sutherland, former Special Assistant to the Chairman of the Joint Chiefs of Staff. The local DC area recruiting community made me very proud when they gave Colonel Sutherland a standing ovation first when he came to the stage, and second when he finished. The second best moment was when all the recruiters in the room raised their hands and committed to hiring two veterans by the end of the summer. Through my interviews with the panelists, we learned some key things that every recruiter and company can do to hire more veterans. One basic point of this is commitment. This is not a program you flip on with a switch or pay a subscription fee to. This is a commitment as a recruiter you need to make to go the extra step to train yourself, connect with the military in your community, and maintain these relationships throughout your career as a recruiter. What will you get in return for this investment of your time? A talent pipeline that is ready, trained, skilled and loyal. Did I also mention that military personnel get the job done, take initiative, have leadership skills and will do anything for you and your company – just like they have done in the military? I have spoken with many military personnel and military spouses who actually feel that it is a detriment to their job search if they share that they are military. I am flabbergasted every time I hear this. There appears to be ignorance prevalent within the HR and recruiting community that military may mean something other than highly trained, skilled and dedicated professionals. Be committed to the process: If it is just you or it is your entire company, be committed to the entire process from learning about military resumes to fully integrating your new employee into your company and community. Be willing to invest the “time”: This is not a software program that you upload or an app you download. This is a program you are going to have to work each day, from connecting with the veterans in your company and community to nurturing your military relationships, to coaching or mentoring your new employees. You need to be visible in the military community. Be resourceful: This is all about being a better recruiter. One of the panelists was adamant that he can’t stand people saying “I don’t have time” and I wholeheartedly agree with him. There are probably a few things you are doing right now that are not productive or ways that you are inefficient. Recognize that. Recruiting, like any business, is not about doing one or two tools well. It is about leveraging all the tools that work for you well plus a lot of good old common sense and connecting with people. If this doesn’t work for you, it might be time for a little refresher. Find the veterans in your company: After recruitDC, several recruiting managers went back to their companies and researched how many veterans worked for them. Many were shocked at how many veterans were already in their companies. 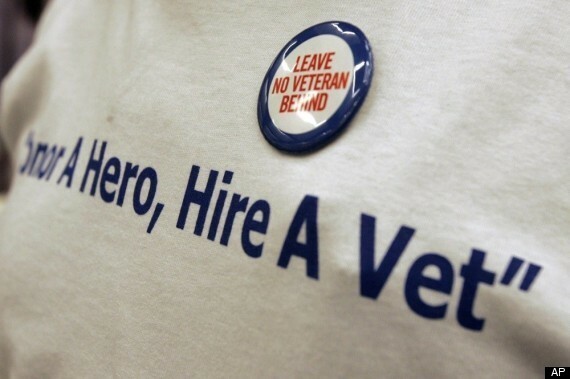 What can these veterans who are already work for your company do for you? Meet with them and ask them to educate you about military resumes, share what their military experience was like or maybe how their military experience has helped them in your company, and finally what kind of MOS you should be looking for to fill the key spots within your company. This is part of your commitment to being better educated about your new talent pool. Ask them to participate in any of the military hiring events that you may attend. This will help build your brand and help educate you on the needs of the military community. Your internal veteran employees will become your ambassadors. Ask them to be a buddy or mentor. This doesn’t have to be a formal program or it can be. The most important part is for your new employee to have someone they can talk to about the new culture you are bringing them in to. On your LinkedIn profile make sure that you are very open to hiring veterans but make this sincere, not just “will hire veterans”. I was particularly impressed with one of the panelist’s LinkedIn profile and how she laid it out that she was willing to help any and all military with their job search questions. She also shared that using Skype allowed her to chat with currently deployed military personnel which I thought was extremely resourceful. There are close to 3,000 LinkedIn groups that have the keyword “military”. We are fortunate here in the Washington, DC, area to have several that are local groups as well. You can be a member AND participate: answer questions, provide advice or ask for referrals. Move beyond just blasting your job postings in the group. Really connect with folks. There are several companies that provide military hiring events but you can also find these on the military bases, and they usually are free or relatively inexpensive. Just like any event you will need to focus on your brand and connecting with the community rather than only look for what you need right then and there. One very largely overlooked community is military spouses. As one panelists said, the first person a veteran is going to ask for job search advice is their spouse. Many times the spouse will be doing the job research while the other spouse is deployed. There are several Military Spouse support programs and this is an extremely active social media community. You will find several groups on both Twitter and Facebook. In addition to the support, this is a great talent pool, as many military spouses are highly skilled and highly adaptable. Many speak other languages, and definitely know about multitasking, in addition to being detail oriented and able to get the job done. There are transition programs in the military and career counselors that are to assist and support military personnel as they transition. Industry wide it is agreed these programs are inadequate. With very limited resources and staff, the transition programs do what they can and they are always looking for recruiters and companies to participate in their employer panels, hiring events and counseling. Call them up, connect with them and help. It will take time to build your relationships and you may have to go to them, but connecting in the military community is about face-to-face and showing that you are real. As one of the panelists – a veteran – said: you need to meet the veteran half way and understand their resume. The first step is understanding lingo and you need a military skills translator for this. Here is one put together by the Department of Labor. Take your most frequently recruited jobs and put them through a military skills resume translator so you can better understand what you need and how to find it on a military resume. On the flip side, you might want to convert your job posting into a description that someone from the military may understand. Realize that there are many skills and traits you want for your positions that you will not find on a military resume but they are there: accountability, leadership, initiative, management, detail orientation. Someone in the military would not think to put this on a resume. Why? It is expected in the military that everyone has these skills. Make sure that your new employee has someone to call to ask questions. One statistic heard frequently is that 80% of transitioning military leave their first job out of the military within the first year. Part of this could be due to the candidate not asking enough questions to fully understand the culture and company that they are coming into, but it is also more than that. One panelist shared that it would have been helpful to better understand what “casual Friday” was all about when he started at his first company after being in the military for 20 plus years. In the military there is always someone watching your back. Our military need that in their new communities. As was shared by one recruitDC colleague in his post “I Would Die For You,” Lars Schmidt rounded up some resources a recruiter can use to hire veterans. These are all good resources, but you first have to be a better recruiter. After recruitDC, we had a chance to talk with Colonel Sutherland’s replacement as the Special Assistant to the Chairman of the Joint Chiefs of Staff, Colonel Henderson. One point was clear for him based on feedback from his troops. In the military if someone doesn’t reach their goal, they are given feedback and retrained. Job seekers aren’t given any feedback as to why they didn’t get the job. Even if you don’t launch a military hiring program, I would ask that if you are not going to hire someone in the military, please take the time to give them feedback on their application, resume, or interview. Yes there will be a series of “policies” that may possibly prevent you from doing this, but as a service to our military please provide suggestions and feedback on what they could do better in their job search. You may not be able to hire them, but you will have provided a great connection with your company, enhanced your employer/recruiter brand, and helped the community. You might even get a referral.